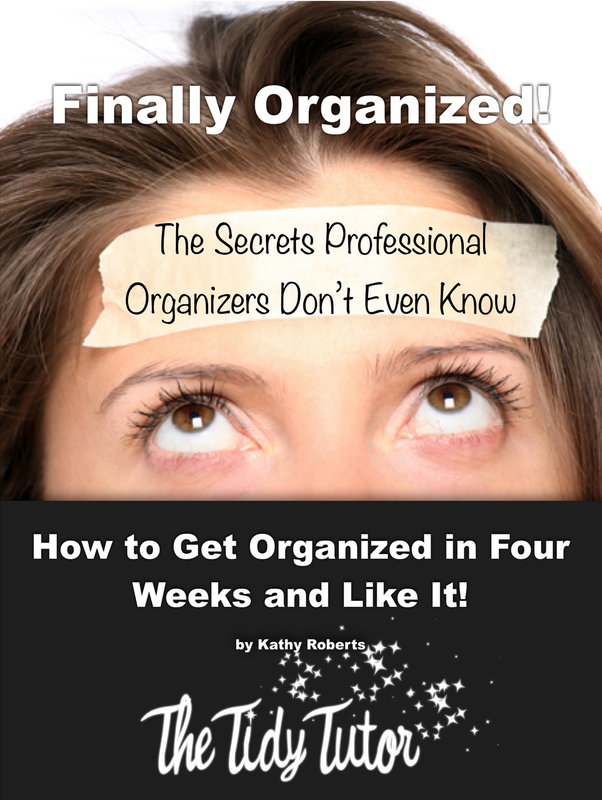 This Week for Throw it out Thursday we are going to tackle a mess together, and do it as an organizing series. We will work real time, each week, till it is completed. Chose the room that you always just close the door on. You know the room I mean. Maybe it is your guest room (that you couldn’t put a guest in) or your bedroom, or a spare room. In any case it is a mess of a room that you can work on a little at a time. I know that if it is a real disaster it often is really hard to get started, mostly because it is often difficult to know where to start. And that is why I have decided to do this series of videos, to offer the step by step, how to get started and I will be with you till it is finished. This is a room in my house. A family member has moved out and needs help getting it finished up. I am helping her get through this mess and clear out this room. So here we go, if you have a room that needs to be cleaned out and fixed up we can work on it together a little bit each week. Here is what we are going to do this first: The surfaces. Start in one corner and then work clock wise. Set a timer for 30 minutes and begin by taking everything that does not belong in that room and make a pile. Dont’ take those things out yet. When the timer goes off take every item that you have piled up into the rooms they belong in. If you come across any storage items (like a bathing suit if it is December, or a winter jacket and it is June) than make another pile, put those things in the storage area when the timer goes off. We will work on our storage area in another video at another time. Throw away all garbage. Now let’t talk about other things. I want you to be ruthless, most likely if your room is in bad shape, you don’t use lots of what is in there. So, really ask yourself. “Do I love this? Do I wear this? Does it fit me? Is it broken?” Get rid of things without any regret. Work for 30 minutes at a time, take a 10 minute break if you don’t finish and set a timer for another 30 minutes. Hopefully in One Hour you would have cleared the surfaces, thrown out garbage and are ready to bring those piles where they belong. You can work 15 minutes at a time all week too if you like. Just keep working in there, and I will see you Next Week. When I first read/viewed your video, I didn’t think this would work for me . . . but, you know, it will! —-And, it’s an important start for my spare room! I have an overly small/overly cluttered spare/t.v./computer/genealogy room. I can’t even begin to think of how I am going to organize all the paper and boxes of genealogy stored on/around the couch . . . (Do you know how long it’s been since I’ve watched t.v. on the couch, and not from my computer chair?) However, I do have surfaces!—And, I can clear them without dealing with the couch area!! I haven’t even hardly seen the clutter on my other surfaces because the pile on the couch is so daunting, BUT, truly I can make a difference in here! Thanks, Kathy!